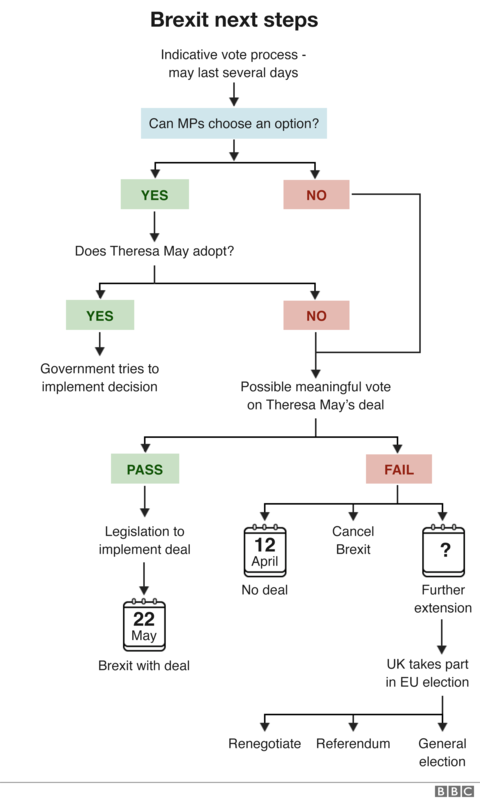 It will be up to Commons Speaker John Bercow to decide what is voted on, although proposals for a closer economic relationship with the EU, based on membership of the European Free Trade Association, a looser Canada-style trade agreement and another referendum are likely to be among those put forward. 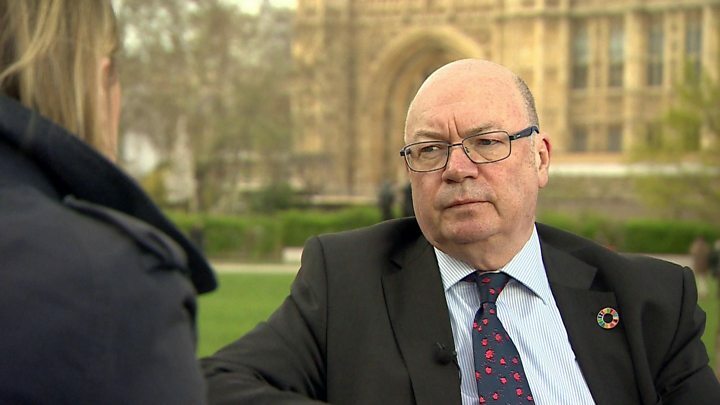 Labour's Gareth Snell said he was backing a plan for the UK to negotiate a new customs union with the EU although he said he doubted the process would result in a "conclusive answer". Voting will take place at about 19:00 GMT, with the results announced by Mr Bercow later that evening. 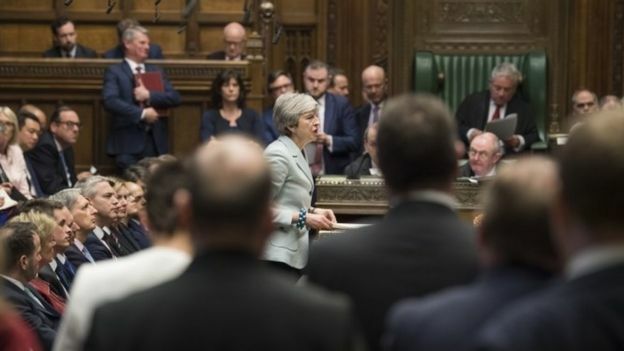 Mrs May, who chaired a cabinet meeting earlier, has been warned that other ministers could quit unless she listens to the concerns of MPs who are prepared to stop a no-deal exit at all costs. Burt: "We will not go down the route of no-deal." "My advice to the prime minister would be to recognise that her duty now is perhaps to find a different answer than the one she has tried to find," he told the BBC's Laura Kuenssberg. But the Democratic Unionists, whose 10 MPs prop up Mrs May's government, urged Tory MPs to "stand firm" in their opposition unless there were "significant changes".